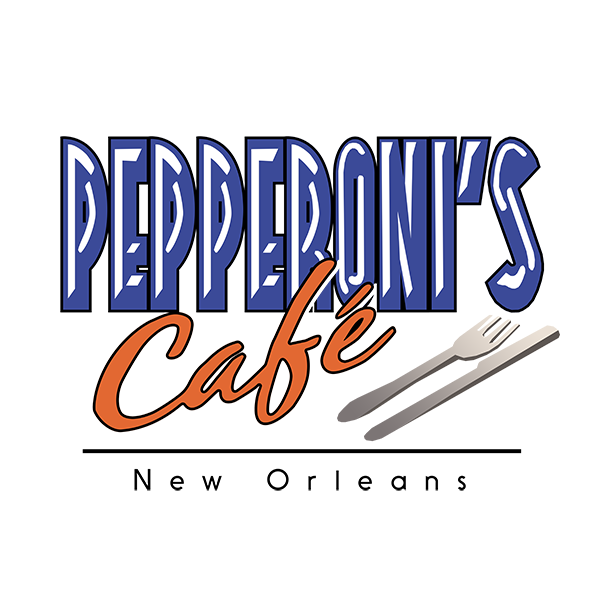 Known for their homemade calzones and fresh squeezed mango juice, Pepperoni's Café serves breakfast all day, every day. 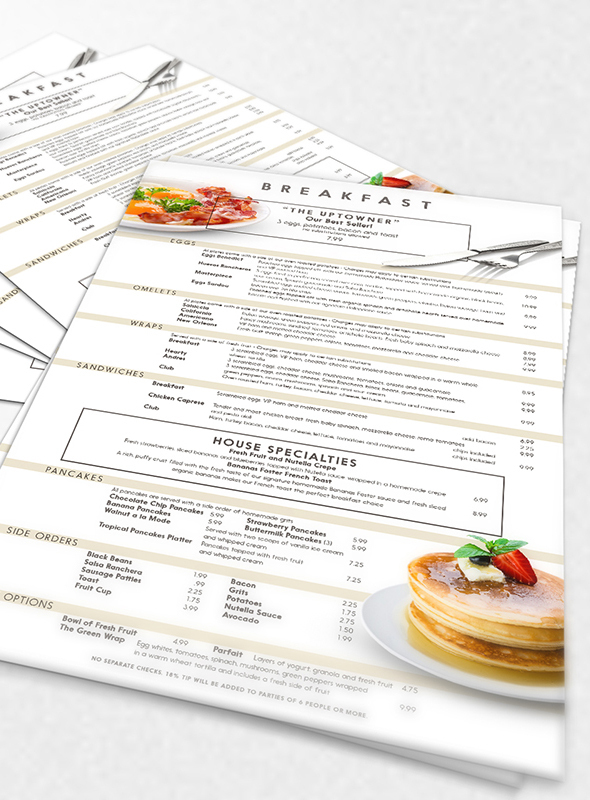 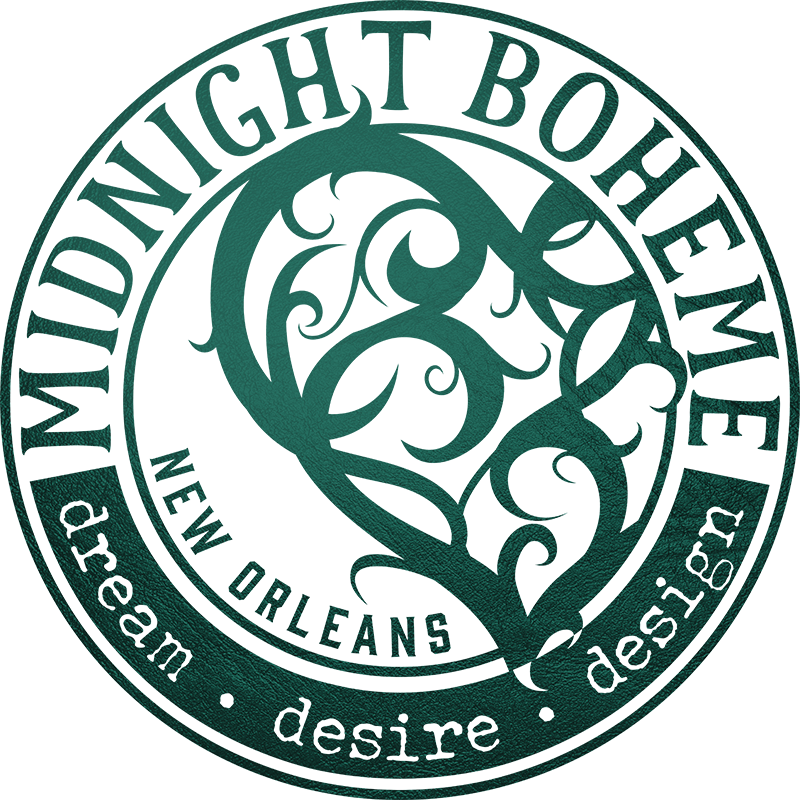 Midnight Boheme was hired to redesign the café's set of menus for breakfast, lunch, and catering. 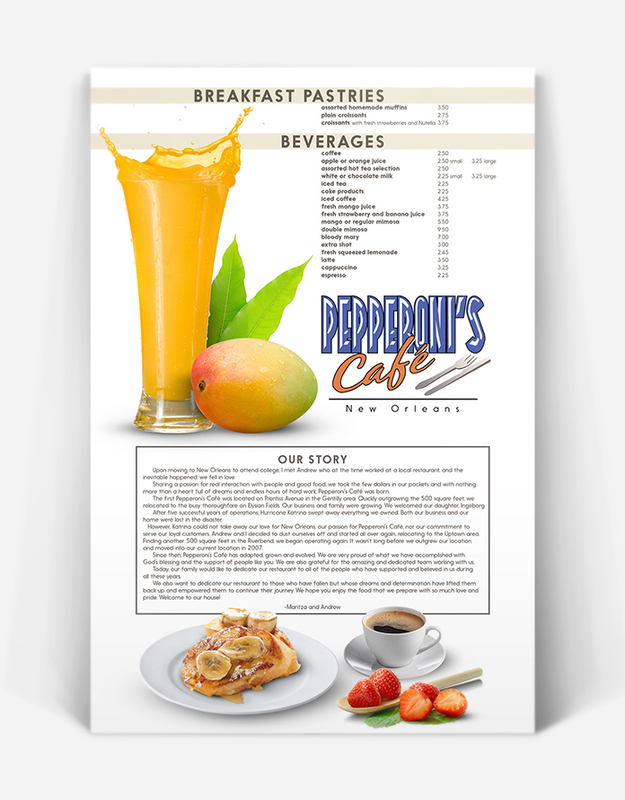 Using fresh and appetizing photography, the designer's approach to the menu composition was to present a clean and bright visualization of the restaurant's leading items such as the fresh-squeezed mango juice, Bananas Foster French toast, buttermilk pancakes, strawberry field salad, and design-your-own calzone. 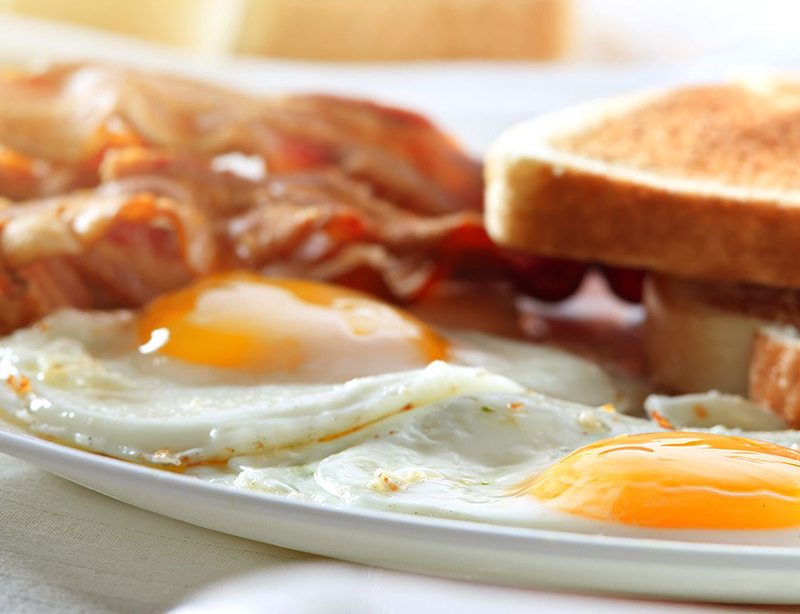 Spotlighting the "Uptowner" platter of eggs, potatoes, bacon, and toast, the breakfast menu design set the tone and composition for the other menus to follow which included the lunch menu complete with healthy wraps and fresh lemonade, and the catering menu to promote the café's catering services featuring all the housemade items including hand-tossed pizza and New Orleans classics like crawfish pasta and muffulettas.